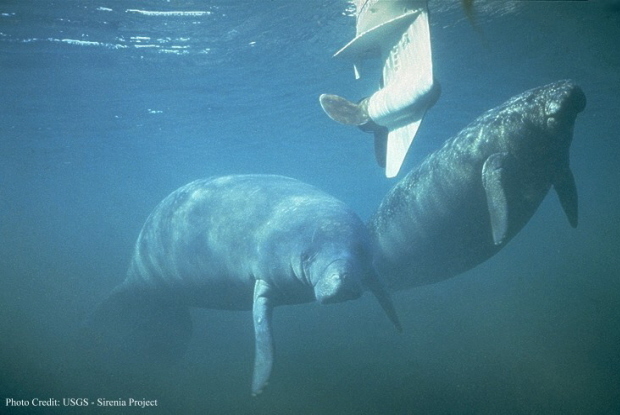 The West Indian Manatee is a gentle animal with no known enemy. Unfortunately, most of their problems and deaths are due to humans. 67% percent of West Indian Manatee deaths are related to humans. Collisions with motorboats is the greatest single human related cause of West Indian Manatee mortality. 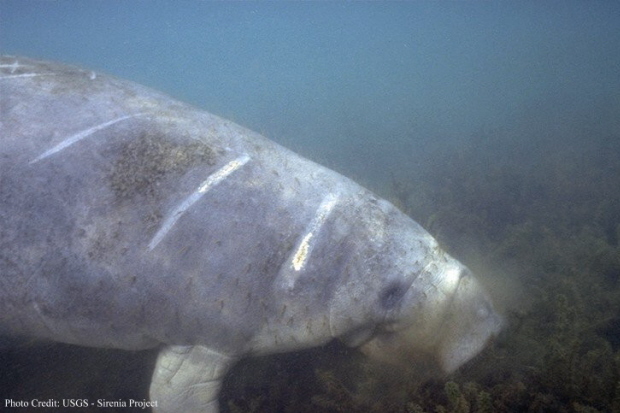 Nearly every West Indian Manatee is covered with scars from boat propellers. As our cities expand, their natural habitat is decreased. Every day, 1,000 new residents move into Florida and a majority of these people end up living on, or close to the coast. Much of Florida's wilderness is being turned into houses, stores, power plants and the manatee's habitat is shrinking. Added to this problem is the establishment of automatic locks and dams which can harm or kill manatees. The West Indian manatee has never been hunted commercially for its meat, it has been long culled by local people for its meat. Some cruel people also like to use the slow moving mammal for target practice. Fishing line and other trash cause a number of problems for the manatees. 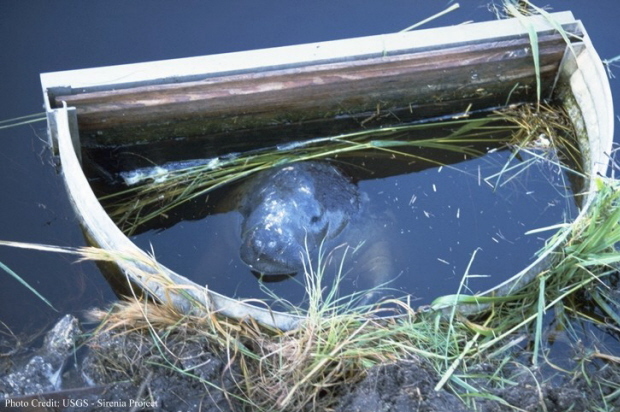 Death may result if the manatee's digestive tract becomes blocked by fishing line that is accidentally eaten. Fishing line can easily become tightened around a flipper, causing serious infections, amputation or even death. 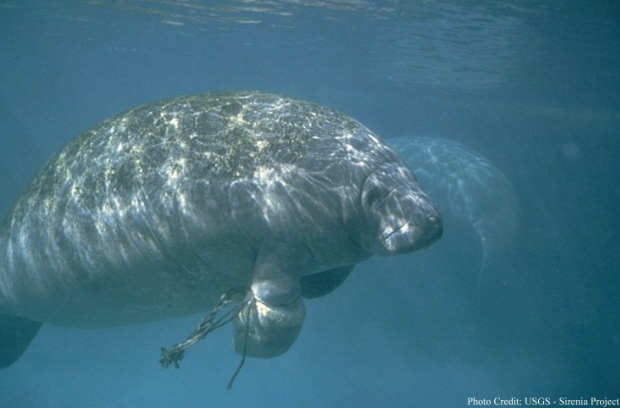 Only 33 percent of West Indian Manatee deaths are not linked to humans. These include deaths from diseases, stress from cold weather, defects due to development, reproductive complications at birth and red-tide poisoning. Red tide toxins accumulate in the sea squirts which attach to sea grasses. This poison is ingested accidentally feeding on the grass. If the temperature drops below 60 degrees Fahrenheit manatees become sluggish and stop eating which can result in death. The mortality rate is estimated to an average of 100 manatees per year. West Indian Manatee has a difficult time trying to balance the death and birth rate because of its late breeding maturity and low reproductive rate. What is being done to protect the manatees? Which designated the entire state a refuge and a sanctuary for the animal. Manatee protection zones have been established in which boats are required to reduce their speed to a no wake speed. In specific areas declared areas manatee refuges, no boats, swimmers, or divers are allowed.